This Post has already been read 730 times. Zong brings an existing offer during the month of Ramazan that any customer who will subscribe to any data bundle, will get double volume of the subscribed data bundle. Subscribe to any data bundle during the month of Ramadan & get double data volume. e.g. if a customer subscribe to a 2GB monthly Data bundle, on subscribing he will get extra 2GB totally free. That will make it a total if 4GB. All customer who will subscribe to the bundle during the campaign. This offer is for limited time till the 3rd day of the Eid. How to Subscribe Internet Bundles? 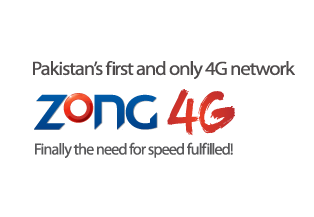 Dial *6464# to subscribe any Zong Internet Bundle. Q: If a customer has already subscribed to a bundle will be getting double the volume? A: No his bundle volume will remain the same. Q: If a customer subscribed to a data bundle before the campaign & his bundle auto renewed during the DTV campaign will he get double the volume? Q: If a customer subscribe to a data bundle on the last day of the campaign, will the double volume last for 30 days? A: Yes the bundle validity will remain 30 days.